Not Possible IRL: "SL is killing me"
I knew exactly what this person meant. Whatever you do in Second Life, whether you are creating or building community, if you do it with passion and long enough, you are bound to feel consumed by your own creation at some point. Bloggers will know what I’m talking about. It’s 1am and your blogpost isn’t anywhere near ready and you promised whoever you are writing about that you’ll have it up in time for the opening of their installation or event. Artists, architects, scripters, builders… often find themselves working against impossible deadlines to have something ready for a show, but the dog needs a walk, the pantry is empty, and your sister’s birthday is tomorrow. Worse yet, the curator hasn’t set the land permissions right, your client keeps crashing, and your Real Life client is expecting that paper in 8 hours. Is it a midlife crisis? If we abdicate, will we have missed the opportunity of a lifetime? * Set yourself to "busy" most of the time (particularly good advice if you lead a very public life). * Don’t “quit.” Just leave if you have to for a month or two. Second Life will still be here when you come back. Tayzia was right. * Go to edit > preferences > communication and set your IMs to go to email. Encourage people to communicate with you via email so that you can handle their requests or information at your own pace. * Give yourself a break and realize that you don’t have to answer every IM as if it is a house on fire. Think of it simply as if someone is adding a file to your in-box. * State your preferences and limitations everywhere possible: in your profile, your notecards, your profile picks, your blog, and all your social networking sites. Then, if people choose to ignore them, it’s their own damn fault. You can’t please everyone all the time. * On his blog, ArminasX Saiman wrote about his fatigue and an unexpected resurrection when he shared the story of how a simple animation and his willingness to surrender to it RESET his view on things. Surrender to the fun again. I also have to admit that I need all the advice I can get in this regard. Balance is something I'm not good at. How have you rebuilt the fire of your passion? How do you cope? well, some days, especially after I've been making something and its turned out well and I am feeling burnt out I sit and look out of the window with a glass of wine. I come in world sometimes knowing that the only thing I'm good for is messing in my inventory or chatting for ages about nothing much to friends. I don't worry about not getting stuff done. I know I'm not lazy and that pushing things to get them finished can end up a disaster. I know that things go in cycles and that one day...when the spirit strikes, I can get masses done in just a few hours. hare ...hehehhe not hair...wow...fashion obsession..or what!! Timeless advice. How I do so wish LL had taken my request for true invisibility seriously rather than closing the ticket as resolved. Maybe time to revisit 'stealth' mode. I have tried logging in as an alt (as many recommend), but it is too complicated and, to me, just isn't the same. I ended up deleting my inventory/groups/friends list and going back to the start, literally reliving my second life and doing all the things I never got round to first time round. It brought back the world to me and re ignited my passion in SL, but yes, sometimes I just need to walk away and engulf my thoughts into something else. Do not ever, ever set yourself to "busy". Busy mode only ever serves to irritate people and prevent you from receiving things you did actually want. It should be completely removed as a function. The thing that people mostly seem to need to learn is how to say "no". You are such a great builder, can you make this home for the abandoned kitten charity? Can you script this experimental art piece? NO. Of course, one needs to express this politely and helpfully: "I'm afraid I do not have the requisite time for such a thing", "that sounds fascinating, you might wish to contact X Y and Z about it". But nobody minds hearing a "no" if their initial enquiry was, really, to see whether you would do anything at all. I am also afraid that I have little sympathy for people facing impossible deadlines, because those deadlines rarely arise without somebody refusing to say "no". "Hello, you need to change the whole fireworks system so that it outputs every particle with the logo of SponsorCo, and you need to do it in the next few minutes before the launch. And also do six other impossible things." The proper response is "no". Or, perhaps, "yes, if you pay me triple time". @Soror "pushing things to get them finished can end up a disaster." - Amen. @Rob - I am not interested in using an Alt to get my work done and prefer to allow my friends to "see" me most of the time, but the ability to turn that off with one click... oh, that would be such a help! @Snowy - Better that than losing you and your crazy creations that just keep getting better and more interesting with time! @Ordinal - Yes. I find I say the word "NO," an awful lot and with greater ease than ever before. A LITTLE KNOWN FACT: When you are in "busy" mode, all objects, notecards and landmarks that are sent to you go into your trash bin. Just remember to check there before you log off! I have no trouble withdrawing and saying "no" when I need to... what I lament losing is my sense of wonder and my urge to explore. It does return occasionally, but it just isn't the same as it was my first year in SL. I miss that. Learning how to say "no" is crucial in RL and SL, esp if you are a 'freelancer' which means 'work time' becomes rather flexible. As far as reigniting the passion for exploring SL I always recommend random exploration *on your own*. I used to use Snapzilla to randomly explore but lately it's been Flickr and its many Groups and Favourites -- I've met many wonderful friends this way. I suffered a pretty serious burnout at the beginning of this year. After 2 solid years of full throttle on development and social communication I'd reached a point where I needed some downtime for sure! After all, for many like me , SL is basiclly a second job. Most of what I do in SL competes with all the other normal activites one does when not at the day job. There was a period of months leading up to December 08 where I was down to about 4 hours sleep a day and was giving 50% to the day job, 40% to SL, 8% to my wife, 1% to my cat, and that left me with 1% personal time. You know that really slow down and relax (no thinking!) personal time. Forget meditation or exercise or even eating right. Who had time for such trivial things? So I took a vacation from SL. Made sure I had my mobile linked to my offline messages in case of emergencies and pretty much shut down. I had a lot of things to deal with and hadn't given myself time to do so. It was pretty wild how it all started coming out as soon as I stopped running. By Feburary I was starting to feel myself again and by March I was reconnecting myself with SL. This time with balance! 1. I am allowed to take personal time away from everyone else and just relax. I try to do this at least once a week. I'm not always alone but I am def unplugged! This is crucial because SL is a much larger load on the mind than we think. No one is at a distance and everyone can reach out to us instantly. Take time to sort out your mind and your feelings, even a hard drive needs to be defragged from time to time. 2. Be completely honest with people. When they IM you, say Hi, I am realy busy, thanks for messaging me , I'll get back to you on this soon. Save the convo in a notecard with the person's name and date. Then when (if) you find yourself with time, go through them in order. People are much more sensative when communiating electroniclly and if they've never had too many IMs at once, they will not be able to grasp your plight. Tell them! 4. SLEEP! Losing sleep is rarely profitable. Your best work comes when you are well rested. Your best attitude towards others is when you are rested. 5. Take time to deal with your normal human emotions that rl and sl bring about. Don't leave them till later or they stack up and you end up with a huge buildup of negative feelings and anxiety. 6. Tell people no. We all want that magic "this is my big break" gig , believe me I've gone to hell and back again waiting for this big break and it is no way to live. Remember that your art is first and formost for you. Yes we all want success, but being happy that you are creating things you love will bring more satisfaction than any big break ever will. If you are excited about your work and happy others will be also and the proverbial break came come or not come. The important thing is to enjoy what you are doing. Let the other pieces fall where they may. My ambition to be successful blinded me to the damage I was doing to my body and I nearly forgot why I was doing what I was doing in the first place. 7. If you create an alt, live as that alt. Live something different, very different from your normal SL. Anyone ever call in sick for a "mental recovery" day? This is a great use for alts. Just to step outside of yourself and your intricate web of connections and breath some fresh air. It is like going to the mountains away from society and cell phones and just being without purpose. Quite refreshing. Burnout does not mean you have to quit anything. It is just a sign you need to slow down and do something completely different for awhile. Your system is telling you it is overloaded. Pull back, reconfigure, and re-engage! I advise against using busy mode. It just creates resentment. Second Life is really about people. To the majority of people, your fancy creations are just an excuse for them to IM you and have a chat. They don't really care about all that 3D crap. Wow...Bettina...you just summed up *exactly* how I have been feeling about SL! I too have been burned by my inability to say "no". I really DO want to do everything...but I can't! I have to remember that at all times. And now, my time to vent. :-) I am so weary of the resentment that I get from quite a few "friends" about how busy I am. They take it very personally when I say I can not chat for long or hang out. I have come to the conclusion that 90% of the people in SL will NEVER understand how busy I am. And the other thing that has bothered me recently...and I bet all of you other SL overachievers have had this happen to you as well. Someone comes to you and says: "I have this great idea! Let's execute it." You say: "It is a great idea, and I can devote x,y,z to it." ...and then they just sit back and expect you to make it happen. Not you and him/her...YOU. It has suddenly become YOUR responsibility to make it all happen. I have put my foot in it on this scenario WAY too many times in the last year. It all comes back to saying no. So, thank you again for this post Bettina. I've been holding these feelings in way too long. And it's nice to not feel so alone out here. @Marianne - I am making an effort to follow your advice. Keeping fun on the "to do" list is something we forget all too often. 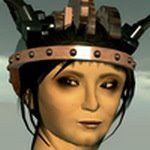 @Nebulosus - Sadly, our sense of astonishment/wonder can never be the same as it once was as we become more involved with the machine under the hood, but I still get a huge rush when I see something new and special that you guys make, or discover a cache of great content or a new creator. I hope I never lose that. @earth Good list, and may I say... I'm personally happy that you stuck around. Sleep! Something we all gave up quite a bit of when we took on a second life, huh? I'm always surprised at how good I feel after a full night of it. I also wish having an alt was more fun... I always forget to transfer all the info I need and then feel lost and lonely without it. Ha! Better organized alts! @Thingy - I'm sorry that you feel that way about Busy mode. It's simply inevitable for some, me included. While "Second Life is really about people," there are often just too many people wanting to discuss things at the same time, and unfortunately, many don't understand when you cannot respond. @Gabi - THANK YOU for sharing your experience with us, and no, you are most definitely not alone. In fact, since this blogpost, over a dozen people have shared that they felt the same way. I know exactly what you meant by getting stuck with the full package and people expecting you to implement their ideas. Bah. There is no magic bullet and we all have ways of coping (or not), but it helps to know that we aren't alone, right? Absolutely excellent post (and afterwords from friends), Bettina. I have found turning the online notification off to be helpful from time to time. One does have to remember to turn it on again at some point! Also, I can totally relate to Neb's comment on losing that sense of wonder by holing up too much. That "wonder" is so much of the reason many of us came to SL (and stayed.) I never want to lose that as it takes real doing to get it back. Finally, your reporting on the "impossible" wonders of SL can stir even the most strident of homebodies, so stay healthy, Ms. Tizzy, stay healthy ...! Thank you for a very thoughtful (and helpful) post. Wonderful post, and some great ideas from your commentators. Gives me much to think about. I too reach SL burnout, as do many of us who create. I like the idea of truly living as an alt for a day or two. Not as a substitute for myself, but as a totally different person. Perhaps an elf off in the elven lands, or a steampunk resident. Or perhaps a damsel with a rifle in the wild west. And totally BE that person. How liberating that could be to learn to PLAY again in Second Life. 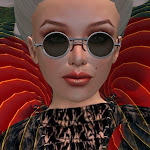 And return refreshed to my main avatar, ready to get back down to the business of living and working my Second Life, as my main avatar. And know that I can always escape for a little break when I need to, without feeling that I must leave SL altogether. Bettina - you say it very well, and we are all in your debt for putting it out there. 1) The Mute button: There are people who just waste your time. I am much freer with "mute" than I used to be. If a person is a drain on my energy, for whatever reason, I mute them and they effectively disappear. Sure, I might run into them at an event, or in the blogosphere, but they become at most a minor irritant. This doesn't work with every situation, obviously, but it leaves more time and attention clear for the people to whom I want or need to be available. I especially use this for dealing with people for whom making drama is a form of recreation, and for the "it's all about me" crowd. I will be happy to advise anyone who wishes to undertake the creation of a library for [community], and supply them with copies of such of our materials as may be relevant. If the library there wishes to subscribe to the Alexandrian Free Library principles, they are most welcome to join the consortium and get the support it offers. I heartily encourage [community] to follow the example of Steelhead, Babbage, Steeltopia, etc, and provide its own library builder and manager! That is what it will need to do if it wishes to have a library - for alas, my time is fully taken up (and then some) with my present commitments, and I cannot with good conscience undertake anything more. You may confirm with [colleague] (to whom I have taken the liberty of copying this reply) that creating a good library is about a fifty-hour proposition, and running one will eat up all the time a person has at their disposal. If you yourself wish to undertake the project, or one of your people does, pray let me know and I will send a "So you want to have a library" starter kit, as soon as I can." Thank you again for raising this topic! What will happen to art? How can we explain what you are missing?